A volcanic eruption in Iceland caused massive disruption throughout Europe in 2010. A huge ash cloud grounded more than 100,000 flights and delayed 10m passengers, costing the aviation industry more than £2 billion. This wasn’t a freak event. New evidence shows such ash clouds are more common than we thought, and they can even cross the Atlantic from volcanic hot-spots in North America. We need to be wary as another major ash cloud could arrive at any time. In fact, the ash has barely settled from Alaska’s latest major eruption. Given volcanoes erupt all the time it seems odd that the Iceland incident came as such a shock. Perhaps there is a failure to appreciate that volcanic eruptions often occur in cycles with busy periods followed by intervals of relative quiet during which time these events pass out of social memory. Looking back through history one can see that 2010 was by no means unique. The Icelandic volcanoes Katla and Hekla, for example, produced large ash plumes in 1947 and 1918, but both were modest by comparison with the massive Asjka eruption of 1875 which blanketed much of Scandinavia in ash. We should remember that intercontinental plane travel has only existed for around 50 years, with budget airlines allowing mass air travel only within the past few decades. Flying has changed from being the reserve of the wealthy to a regular travel expectation for the majority. The industry was lucky to evolve in what was a relatively quiet period between major ash producing eruptions in Iceland. A few years ago we were involved in a project to reconstruct past environmental changes along North America’s east coast. We found a number of ash layers throughout the sediments covering the past several thousand years. 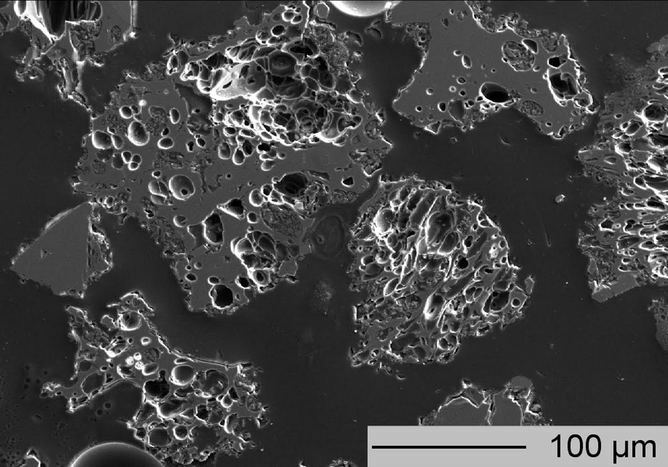 By analysing the elements in the ash’s glass particles we are able to obtain a chemical “fingerprint” unique to that ash layer. These “fingerprints” can then be compared with samples from elsewhere. When an ash layer is identified, it provides a means of joining and aligning the environmental histories of different areas where it occurs. They are very precise time markers in the sediment because they are deposited over a very short period of time (days to weeks). The majority of the dozen or so ash layers we found during this study were from well-known eruptions in North American volcanic regions such as the Aleutian Islands off Alaska or the Cascade Mountains near Portland. One layer however stood out. It presented us with a puzzle: we had found a chemical match between an ash layer from Alaska and a layer which occurs throughout Europe, which was always presumed to come from Iceland. Using the ages of the eruptions was no help as they both occurred at approximately the same time. In North America, we know this as the White River Ash, which erupted from Bona-Churchill massif in Alaska. The European layer is called the AD860B (named after the approximate date of the layer). We suspected both derived from the same eruption. But this would imply that ash would be capable of travelling from Alaska, over North America, and out across the Atlantic to Europe – a total distance of 7,000km. One might expect this of past mega-eruptions such as Toba on Sumatra which blasted ash as far as Lake Malawi in eastern Africa around 75,000 years ago. However, the White River Ash was by no means a mega-sized event. Although it was large – approximately ten times larger than the 1990 eruption of Pinatubo – it was also half the size of the 1815 eruption of Tambora. In the long run we could expect an eruption the size of White River somewhere in the world every 100-200 years. 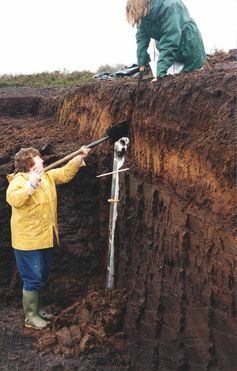 We collected samples of both the White River Ash and AD860B from both sides of the Atlantic and re-examined them in detail: there were no appreciable differences between the Alaskan and European ash deposits. As an added bonus the ash has also been found deep in the Greenland ice. This allowed us to count the annual ice layers as one would for tree rings to obtain a new age for the eruption of around AD 847. It is unlikely that we stumbled upon the only time North American ash that made it to Europe, and we fully expect more such layers will be found to correspond with the many large eruptions that have occurred in North America. If it happened at least once before, we need to be aware of the risk that it will happen again. The White River Ash/AD860B layer covered a third of the globe’s circumference at approximately 60°N. This coincides with a number of trans-Atlantic flight paths and would pose an obvious hazard when any of North America’s plentiful volcanoes have a White River Ash-type eruption. Findings such as ours should provide additionally useful data for the airline industry when calculating the risk likelihood associated with future volcanic eruptions and how to improve resilience against them. Sean Pyne-O’Donnell, Post-Doctoral Research Fellow at Queen’s University Belfast, receives funding from The European Research Council. Britta Jensen, Post-Doctoral Research Fellow at University of Alberta, receives funding from Natural Sciences and Engineering Council of Canada (NSERC). If you appreciate our work, please help sustain Facts and Opinions, a boutique for slow journalism, without borders. Independent, non-partisan and employee-owned, F&O is supported entirely by readers: we do not carry advertising or solicit donations from non-journalism foundations or causes. We appreciate your interest and support: for $2.95 (the price of a cheap brew) you can subscribe to F&O for a month. A one-day pass to the entire site is $1. A subscription is required for most F&O original work. Receive our Frontlines log of new work, and occasional posts, by entering your email in the form on the right, or sign up on our Facebook and Twitter pages for notifications.